Mechanical Services, Heating and Cooling HVAC, HVACR for commercial and industrial facilities, covering Lee County, Collier County, Charlotte County, Hendry County, Highlands County, Glades County and other surrounding South and Southwest Florida counties. HVAC Test and Balance is the testing, adjusting, and balancing (TAB) of the heating, ventilation and air conditioning (HVAC) system’s, air and water flow to within design parameters. Documentation and reporting of the systems performance is a growing requirement by many Federal, State, and local Governmental agencies. 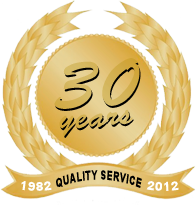 Future Controls, Inc. has been a proud partner of what is now known as Schneider Controls for the past 20 years. In 1992 we began the partnership with CSI (Control Systems International) representing the INET control line.